I got to check out CrossTown Fitness in West Loop a couple of times in the past month and I must say that I am impressed! 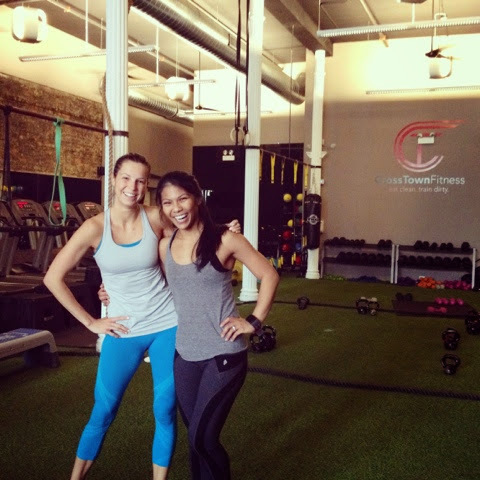 Betina Gozo (pictured below) is one of my favorite trainers in Chicago. She's the type of trainer that can really encourage you to do your best and makes you feel like you're the only one in class with her individual attention. Betina's smile also brightens up the whole room! CTF is a studio gym at 1031 West Madison Street with hour-long classes that involve a variety of movements…you'll never get bored! There is no set program, but each trainer is required to design the class so that is it half cardio, half strength. All of the weights and movements are scalable so you can be a beginner or an experienced athlete and still get a great workout. There are treadmills, pull-up bars, medicine balls, free weights, body bars, kettle bells, resistance bands, and much more. I would compare the CTF workouts to CrossFit without the Olympic weightlifting. Therefore, you don't need an on-ramp class and can just get into it. I went to CTF for the first time in April for #CTFSweatworking with aSweatlife.com (pictured below). "Sweatworking" is seriously my new favorite thing! Networking usually involves happy hour - as in, not healthy. But sweatworking is networking with a workout, much more productive! We first started with an hour-long workout with Betina involving rotations between the treadmills and body and weight movements. There was little rest in between and I liked the variety to keep things interesting. Afterwards, we networked with each other and a few brands that came by to give us samples. I even won one of the raffle prizes! More on that later. 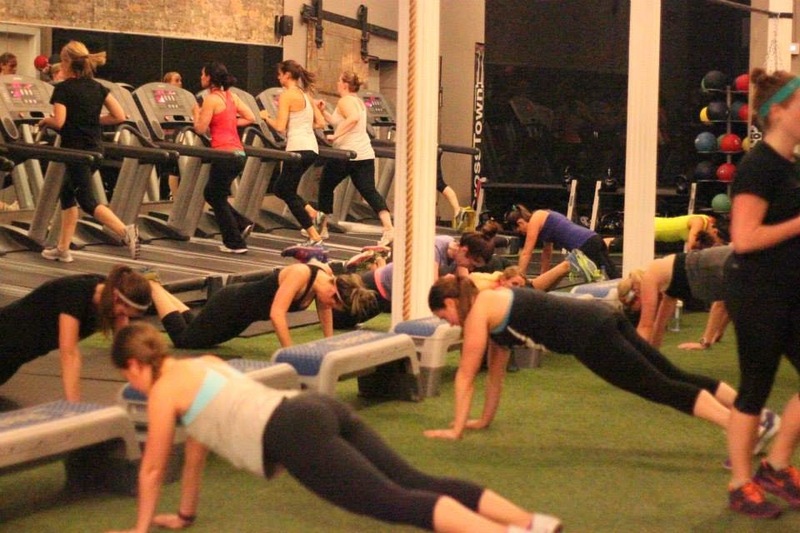 You should attend the next sweatworking event on May 24! I went to CTF again this morning and I am spent. I think I should have taken a few more days off after the Indy 500 Mini Marathon because my legs are still sore. But it does feel good to get back to weight training after tapering for a couple of weeks. We did AMRAP rotations today involving 6 rounds of 6 minutes of work each. Rotations involved, running, box jumps + rows, TRX + push-ups, kettlebell swings, pull-ups + burpees, and core movements. It was definitely a full body workout and I liked that I could go at my own pace but still had the 6-minute interval to push me to do as much as possible. CrossTown Fitness has some great programs going on this summer so check it out! You won't regret it! Costs $220 per person, and is available for new clients only. Classes can be booked through CrossTown Fitness’ online scheduling center. Must purchase between May 1-12. Saturdays at 8 AM at North Ave. Beach starting June 7. Included for CTF members and open to everyone, sign up on the online scheduling center. I'll be at the first paddle boarding class with Betina on June 7 so I hope to see you there! Hi Lenka! My name is Christine and I'm the writer for the Marshall Campus Rec Blog. I just wanted to let you know that I have nominated you for a Liebster Award! You can check it out on the blog's site. Keep up the good work! Thanks so much for the Sweatworking love, Lenka! Can't wait to see you at the next one! Of course! I'm looking forward to the next one!